← Russia Supplies Offensive Weapons to China. Defence Research and Development Organisation (DRDO) technologists said on Sunday preparations were in full swing for the launch of the two-stage surface-to-surface missile that uses a turbo-jet engine. The Aeronautical Development Establishment (ADE), a DRDO facility in Bangalore, has designed Nirbhay — a derivative of pilotless target aircraft Lakshya. The Research Centre, Imarat, Hyderabad, has developed Nirbhay’s crucial avionics while other DRDO laboratories have played their part in developing it. Nirbhay, which looks like an aircraft, can drop bombs. It can be remotely controlled and brought back. In this mission, there are no plans to recover it or use it to drop bombs. Nirbhay takes off from a road mobile launcher after a booster engine kicks the first stage. After the booster separates, the second stage, which has a turbo-jet engine, cruises at an altitude of 500 metres to one km. It will travel for a long time at a speed of 0.67 Mach. Aviation kerosene is the fuel. “It will cruise in the atmosphere like an aircraft and it is capable of travelling up to 1,000 km,” said a DRDO missile engineer. “The biggest advantage with Nirbhay is that it can be launched from land, air and sea. It is a potent system,” he noted. Nirbhay can fly over or around hills. It can fly at a very low altitude and avoid detection. Hence it is called a “tree-top” missile. It is a “loitering missile.” It can go around and around a target till it gets an opportune moment to bomb it. The U.S. equivalent of Nirbhay is Tomahawk. 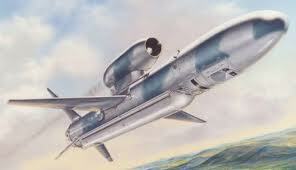 Pakistan has a cruise missile called Babur that has a range of 700 km. A DRDO official said Nirbhay was on a par with the best systems of its class. It was a third variant of India’s missiles, the others being the Agni series and the underwater-launched K-15/B05 missile. Posted on March 11, 2013, in missile tech. Bookmark the permalink. Leave a comment.